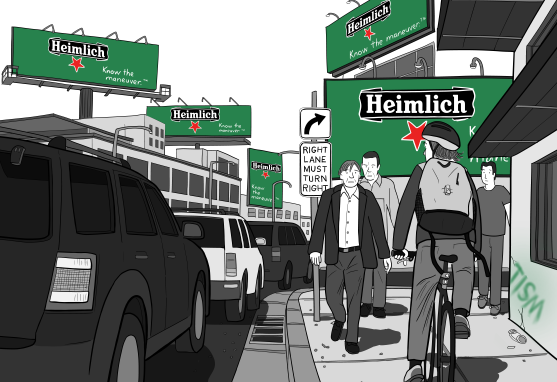 In 2019, I began publishing a series of comics titled Twenty-Five Arguments Against Billboards. 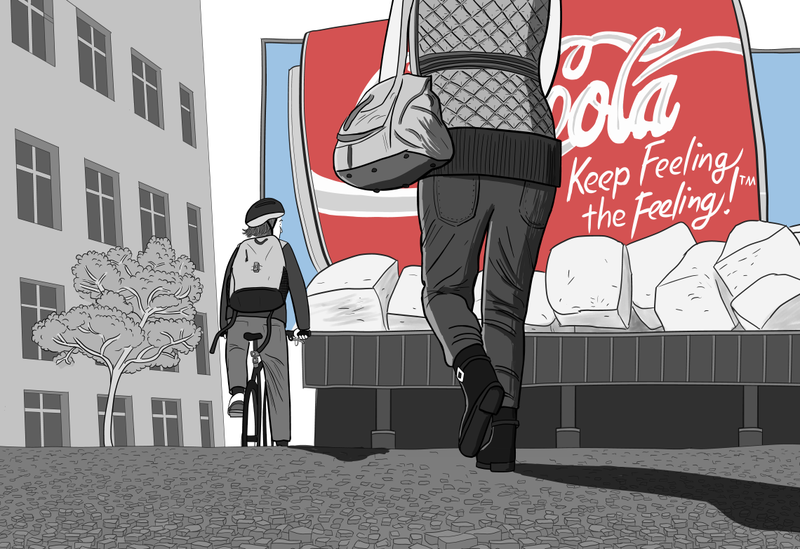 These thoughtful comics explore the detrimental impact of billboard advertising on public places. 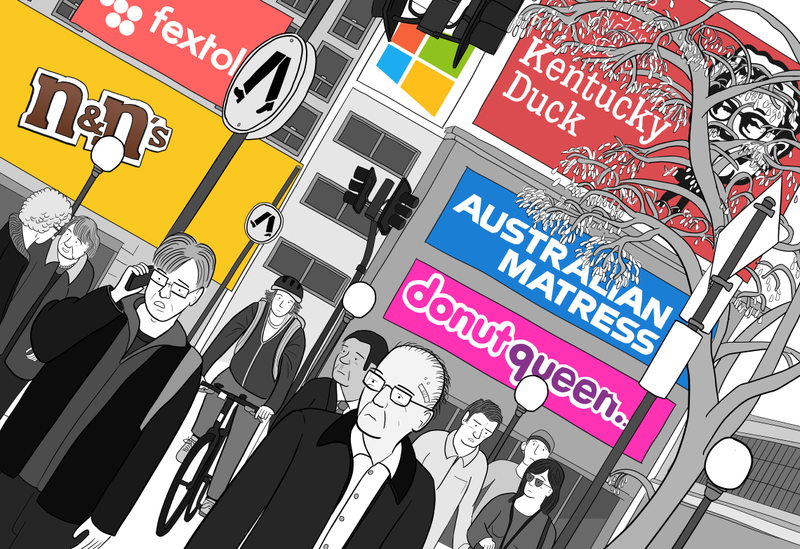 The visual pollution of billboards is something that that is ‘hidden in plain sight’. By thoughtfully pointing out what they’ve become desensitised to, I will allow readers to chew on an issue that they were previously unconcerned about. Below, I list each of these comics about billboards in chronological order. Billboards are the crudest form of advertising possible. 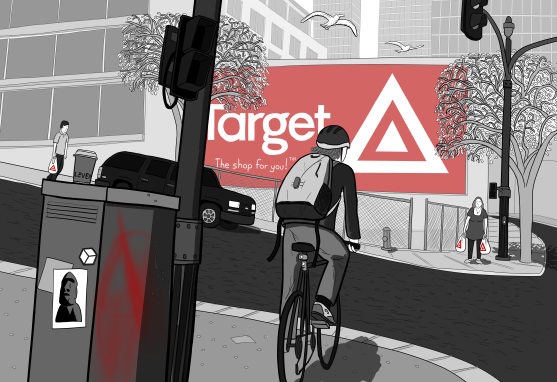 Billboard advertisers invade our fields of vision with unavoidable images for us to tolerate. Click here to read this comic. Billboard advertisers ‘tag’ our public spaces in the same way that graffiti artists ‘tag’ walls with their marks. Billboards have the aesthetic of litter on a stick. It is an inherently anti-social medium, designed to attract attention away from the cityscape. Each one of these individual comics is written so that it can be read and enjoyed as a self-contained story in isolation. But the collection is also designed to resonate at a heightened level when the comics are read together in sequence. I have written these comics so that they could work when compiled into a printed book. At this early stage, I haven’t yet actually gone to the trouble of finding an agent or publisher. So if you work for a book publisher, please get in touch so we can discuss publishing Twenty-Five Arguments Against Billboards as a book. I am still sequentially publishing new comics in this Twenty-Five Arguments Against Billboards series. To learn when my new comics are published, join my email newsletter.